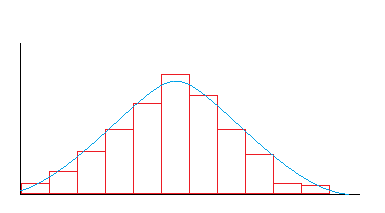 Data distributions that are approximately bell-shaped can be described as having a normal distribution. Graph 1 displays data that is roughly symmetrical and hence demonstrates a bell-shaped curve. 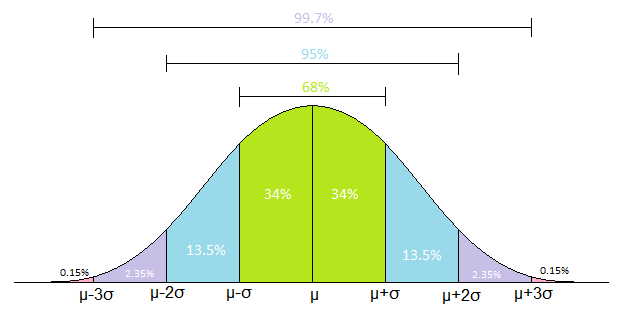 In normal distributions, the proportion of observations that fall within a certain number of standard deviations from the mean can be determined. The 68-95-99.7% rule is a shorthand to appromate the percentages of values that lie within one, two, and three standard deviations from the mean. That is, 68% of the observations in a data set will be found within one standard deviation of the mean, 95% of the observations in a data set will be found within two standard deviations of the mean, and so on.